I don’t know about you but when September and October arrive I always say to myself “Right, this year I am going to do things properly and get totally prepared for winter” as regards to my car – which obviously never happens and ends up with an angry boss on more than one morning from being late! So, in light of not just my experiences but I am sure every other person reading this, here are a few tips that I know will have you smiling as you drive by that person with a spade trying to dig their car out of the snow whilst you have the heat blasting in your car – unless you really want to be late at which point you can help that person, your call! As much as the motoring industry can be fun and exciting we here at Everything Motoring Ireland obviously take Health & Safety very seriously so we decided to cover 7 different topics to cover before venturing off in to the snow and ice! 1. TYRES – No less than 2mm tread is recommended guys with 3mm being preferred. Havent a clue what this means? Simply go to your local tyre garage and ask them for winter tyres with the sizes above and they will fix you up! 2. ELECTRICS AND BATTERY LIFE – This is a big deal guys! You need your electrics for heat and visibility. The most important thing is not to use wipers, lights and heating if they aren’t needed. Don’t blast the heating either, keep it on a constant low level if you are using it. Rear window heater is a killer also, kind of like the emergen heater or tumble drier at home, major battery drainage. If your motor is sitting for more than 24-48 hours go out and turn it on for about 5 minutes just to keep the battery awake. If your motor isn’t starting and “ticking over” turn it for 5 seconds then leave it for 30 seconds and try again. 3. VISIBILITY – Clean is the word here. Obviously when you are out driving around there will be a lot more dirt, muck and grit about than normal to the extent that you might need to clean your head lamps after each journey AND don’t forget to clean your registration plate otherwise you could have a fine coming your way! You also automatically assume to clear the snow off your car to drive but don’t forget your head lamps so your beams aren’t hindered in any way. Fog lamps – only use them if visibility is really bad as they can dazzle other motorists. 4. ANTI-FREEZE – Point one, anti-freeze costs a few quid, a blocked engine due to being frozen over will cost hundreds. Change your anti-freeze at least every 2 years to keep it fresh. Using a 50/50 mix with water should work perfect. 5. 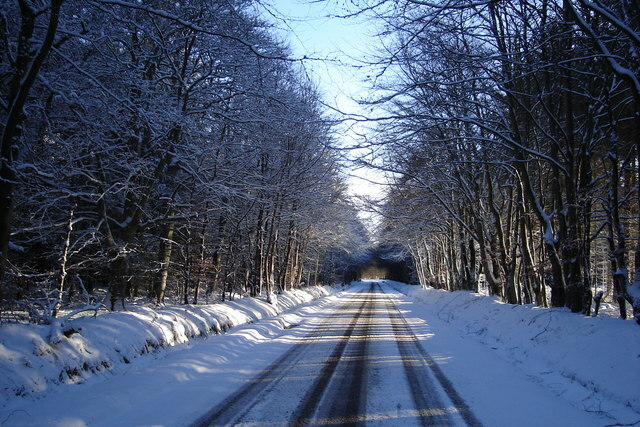 DRIVING IN SNOW AND ICE – Wear comfortable and dry footwear to avoid slippage, put the yoke in to 2nd gear and drive off slowly to avoid spinning the alloy wheels, avoid stopping half way up hills, brake even more than normal coming down hills, give plenty of space between you and the car in front and finally brake gently and if you start to skid take your foot off the brake and put it out of gear. 6. VISION – Ensure your windscreen is clean both inside AND outside, dazzling sun in the winter can be really hazardous! Use your air conditioning for less condensation and quicker demisting. Keep checks on your wiper blades, if they start to rub get a new set, they only cost a few quid. When switching your engine off for the day make sure the wipers are switched off and not in the middle of your windscreen because if they do freeze over they are stuck right in the middle of your windscreen before driving again until they thaw. DO NOT put anti-freeze in your wiper washers as it can damage the paintwork on your motor. 7. AND FINALLY BEFORE YOU LEAVE – Time! Give yourself plenty of it to prepare your motor otherwise you are about to start rushing on the wintery roads because you took ages waiting on your motor defrosting and warming up! Plan your route, all major roads should be gritted so try and stick to them and finally always put safety over punctuality, no doubt you are going to be late at some point in the bad weather so don’t go spinning your wheels trying to get there asap! If you do end up off the road be sure to speak to a reputable accident repair centre. Halfords have written an article “Driving on Ice” which gives some additional advice. You can read it here.